A traditional belief in retail marketing is that prices ending in "9" - $1.99 or $2.99, for example—will prompt more purchases than a whole number. But is that true? And is a simple one-penny price difference the best tactic to sell more products? In a new study published in the journal Marketing Letters, marketing researchers in Baylor University's Hankamer School of Business contend that "nine-ending pricing" is not universally effective. The study, composed of four experiments with 932 consumers, reveals that marketers might experience more success in price-setting if they focus their efforts on identifying—and even modifying—the thinking styles of their target consumers. 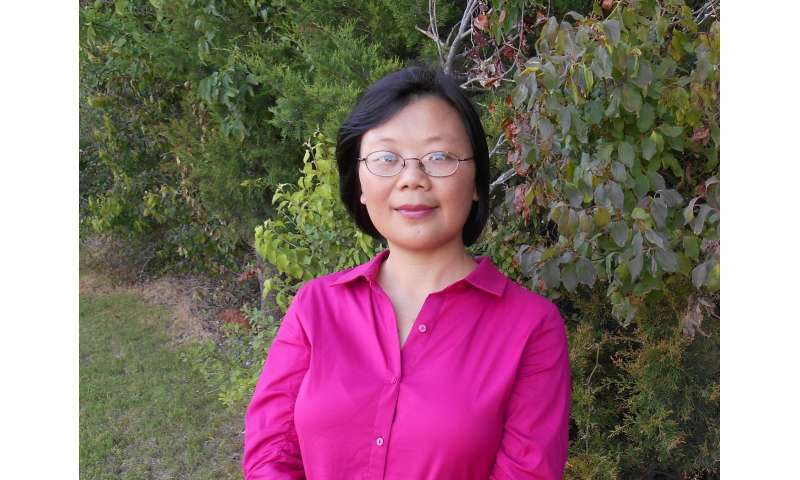 "We looked specifically at two styles of thinking—analytic and holistic," said Lingjiang Lora Tu, Ph.D., assistant clinical professor of marketing at Baylor and the study's lead author. Chris Pullig, Ph.D., professor and chair of Baylor's marketing department, served as co-author. Analytic thinkers, Tu explained, tend to view all the digits in a price as separate and independent, with the focal object being the left-most digit. Holistic thinkers tend to view all the digits as interconnected, with each digit being an inseparable part of the price. "Analytic thinkers tend to view the nine-ending price as lower because of the difference in the left-most digit. In contrast, holistic thinkers tend to view all price digits as a whole and are less subject to the nine-ending price effect," Tu said. "We identified that when individuals are more inclined to holistic thinking (versus analytic thinking), the effectiveness of a nine-ending pricing tactic is pretty weak." 2. When holistic thinkers' cognitive resources are limited—they're under time pressure, for example—they are more subject to the nine-ending price effect, just as analytic thinkers are. "Holistic thinkers are not always immune to nine-ending prices. Our research shows that holistic thinking takes more cognitive resources than analytic thinking. When their cognitive resources are limited by time pressure or distractions, holistic thinkers respond to nine-ending prices the same way analytic thinkers do. That is, they view a nine-ending price as much lower than a round price just one cent higher." Tu said. "Our findings suggest that irrespective of consumers' thinking style, nine-ending prices are most likely to be effective in situations that strain consumers' resources, such as when shoppers are time-pressured at the checkout counter or distracted by background music or occupied with an interactive product demonstration." 3. Analytic/holistic thinking style can be manipulated as well as measured. "Marketers may manipulate thinking style via communication strategies, such as promotion imagery, message framing, website design and retailer environment so that chosen pricing tactics will be more effective," Tu said. She added that nine-ending pricing is more effective with chronically analytic thinkers (e.g. Westerners, individualists) than with chronically holistic thinkers (e.g. East Asians, collectivists). "Given growing cultural diversity of most major markets, identifying chronically holistic and analytic thinkers in regional and local markets will boost the effectiveness and predictive accuracy of managers' pricing policies," the researchers wrote. But 2.99 is less than 3.00. Its also 99 cents more than 2.00. I actively AVOID items priced at "99" anything. I find it disrespectful of my cognitive ability. Not to mention the fact that in Canada, it will be rounded up anyways! We have no penny! For practical purposes, 2.99 is essentially 3, or a rough 5ish. 8.99 is essentially 9, which is a 10ish. For practical personal purchasing purposes, take prices as orders of magnitude. The other reason is that pennies used to be worth something, when I was a kid I could buy candy for a penny.